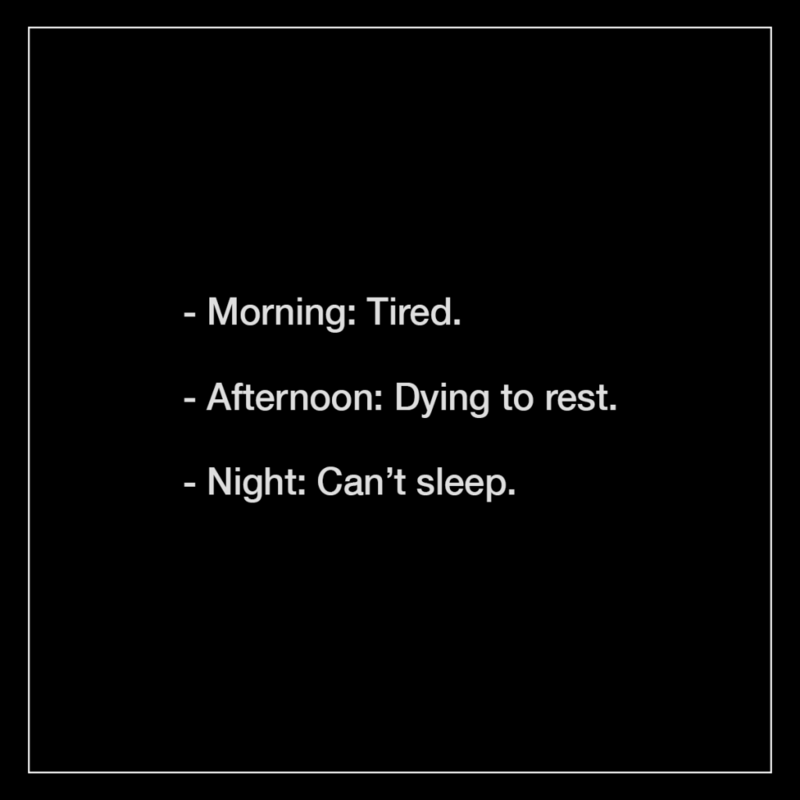 Getting a good night’s sleep is essential to staying happy and healthy people! We’ve compiled a quick, yet detailed guide to choosing the best mattress and pillows based on your sleeping habits. You can thank us in your dreams later. 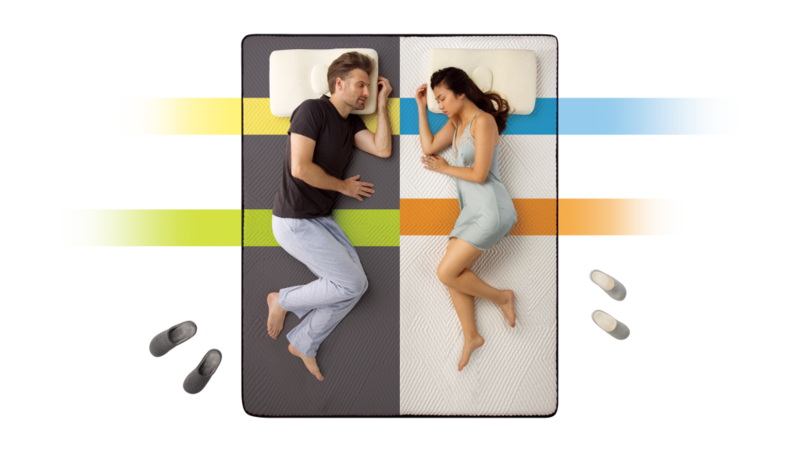 Pocket spring mattress: A more luxurious option as compared to open spring, pocket spring provides more support. The general rule of thumb is to get pocket sprung mattresses that have 1,000 springs or more – anything below that is considered low quality. This is a good option if you’re looking for a bed for two people, as the separate springs will cater for your different needs and weights. Memory foam mattress: These more modern mattresses are made from Polyurethane foam (a synthetic petroleum based material) which slowly responds to body temperature and weight to take the shape of the user, and has hypo-allergenic properties. This means it will mould to the shape of your body, absorb your weight and relieve pressure on your joints. 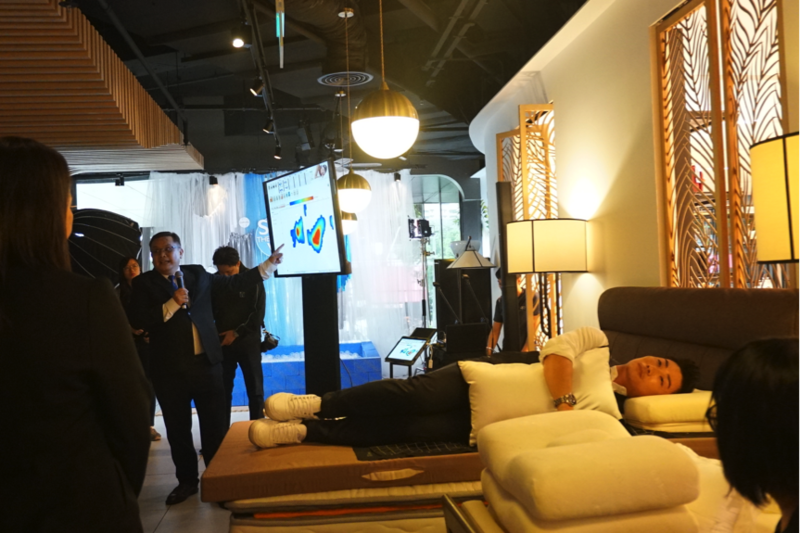 Not everyone likes the sinking motion of this type of mattress, and it can get rather warm – which can be uncomfortable if you live in tropical countries. Back-sleeper: Choose a thin pillow so that it won’t throw your head too far forward, putting stress on your neck. Memory foam might be a good choice, as it will mould to your neck’s curve, giving consistent support. Also, try sleeping with another pillow under your knees to alleviate pressure on your lower back. 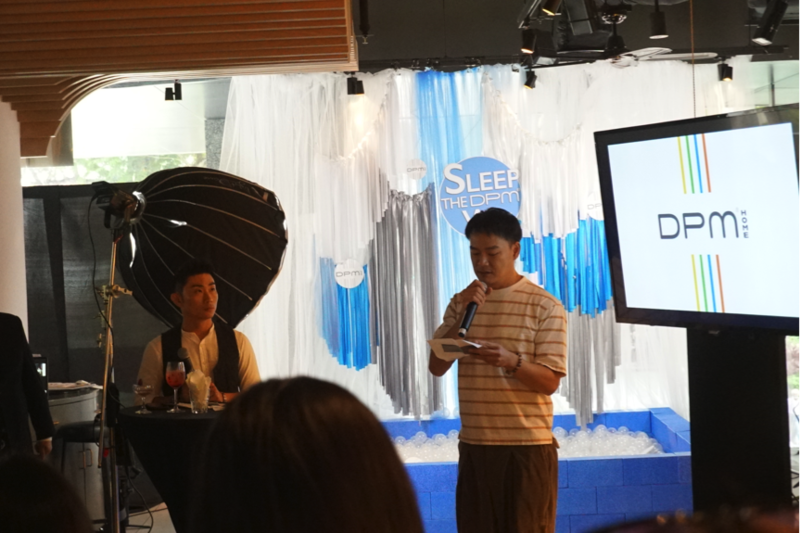 Singapore’s celebrity, Thomas Ong, was also invited to share about his personal experience on DPM’s mattress. 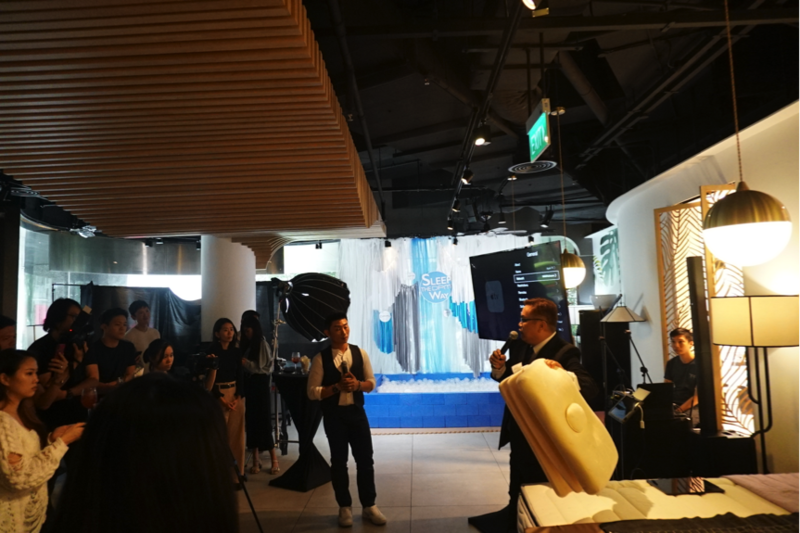 He has been a supporter for DPM and we got to hear from him that he really loves DPM’s mattress and that he would highly recommend it to anyone that wants quality sleep! 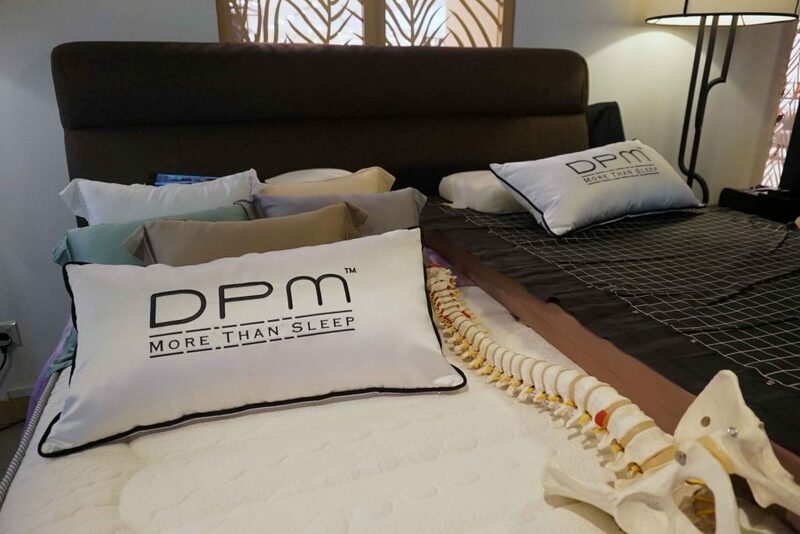 If you are already interested in getting your hands on DPM mattress and pillow, head over to their website now to find out more!